Plumbing professionals serving Ocean County, NJ. Do you have teenagers? Or more than 3 people that need to shower around the same time? Then an instant hot water heater might be the right choice for you. Instant hot water heaters, also called tankless water heaters, are designed to heat water on demand. Instant hot water heaters only heat the water when you need it, rather than wasting energy to keep it at a hot temperature around the clock. As a result, they are a more cost-effective and environmentally-friendly choice for homeowners. And, since they heat water instantly, you will never run out of hot water again. 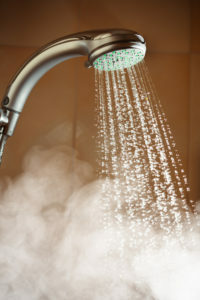 Is your hot water heater not heating water as well as it used to? Providing access to hot water in your home and place of business is a major role of our plumbing systems. But, when something goes awry, even a simple task like taking a shower can become unbearable. The problem can usually be tied back to a failing hot water heater. At Air Tech, we are a local, family-owned business that has been delivering quality plumbing services to residents and businesses throughout LBI and surrounding New Jersey areas since 1999. Call our friendly staff today to get a complimentary in-home estimate on a new tankless hot water heater. When the time comes that you need to invest in a new water heater for your home or business, our experts can help you determine whether you need to explore options for standard water heaters or tankless/instant hot water heaters. While standard water heaters are a lower initial investment, they are not designed to keep water heated a long time. The rate will depend on the size of your conventional tank and demands for hot water in your home, but once the tank is emptied, your water will be lukewarm, at most. In addition, since a tank heater operates around the clock, that means it’s running even when you’re gone for the day or asleep. That’s a lot of wasted energy. Instant hot water heaters require a higher upfront investment, but are much more efficient than their counterparts. This is because instant hot water heaters do not store water. They heat up the water as needed, creating hot water in a matter of seconds. Since they don’t require a tank, they are more compact system, fitting in smaller spaces. Additionally, tankless hot water heaters are designed to save energy, operating only when hot water is needed. The professionals at Air Tech are well-versed in working with both instant hot water heaters and standard hot water heaters. We’re prepared to replace your older unit or install a new construction unit, ensuring that your new water heater is appropriately matched to the size of your home. We will also secure the right NJ permits, if necessary. 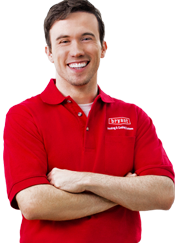 But, we don’t just provide installation for instant hot water heaters, we also service them. Already have an instant hot water heater? Whether your instant hot water heater needs minor repair, emergency service or annual maintenance, our licensed and certified technicians are here to help. We service all brands and types of tankless hot water heaters, and we’ll help you eliminate the problem at once. Are you looking for an energy efficient alternative to standard tank water heaters? Let the experts at Air Technical Service Heating, Cooling and Plumbing know what you need and we’ll deliver! We’re your one-stop shop for comprehensive residential and commercial services for instant hot water heaters throughout LBI and Ocean County, NJ. We have been in business since 1999, and since that time, we have developed a reputation for quality customer service and reliable workmanship. We’re proud to be a locally-owned and operated heating, cooling, and plumbing company and we take great pride in the quality of our products and services. Whether you need repair, maintenance or installation, we deliver the best plumbing services around. Call us at (609) 698-3400 to schedule an appointment today!